So, we can’t drink the water in Austin. The recent rains have more than filled our water supply. The Highland Lakes are filled and before the rains ended there were 4 floodgates open, with threats of opening four more. I believe that they did open at least 2 more, and I didn’t hear anything more about it. All of this led to silt in our water supply, which could, in turn, lead to bacteria, so on Monday they issued a boil water warning. I’ve not seen Austin go through anything like that. It really makes you realize how extraordinarily spoiled we are. We use clean water and take it for granted in unimaginable ways. My friend that runs the cafeteria where I work struggled that first day. I mean, she’s still struggling, but she’s gotten her footing a little. She had to turn off the ice dispenser, couldn’t make coffee (horrors!) or ice tea. She couldn’t even wash the vegetables, so she couldn’t serve hamburgers because there was no lettuce or tomatoes. Plus, could you wash the dishes? Probably not. She began boiling water to get through the rest of the week. Restaurants of all sorts had to adjust. For the most part they would not serve fountain drinks because there is no clean ice. Coffee shops couldn’t serve coffee, except the pre-bottled kind. They even warned us to use hand sanitizer after we washed our hands. But, not being able to sit in a coffee shop and chill after work has been the biggest loss for me. I understand that there are millions of people who live on Earth who don’t have access to clean water, and I understand that I might be whining just a tiny bit. It’s just eye-opening, more than anything. 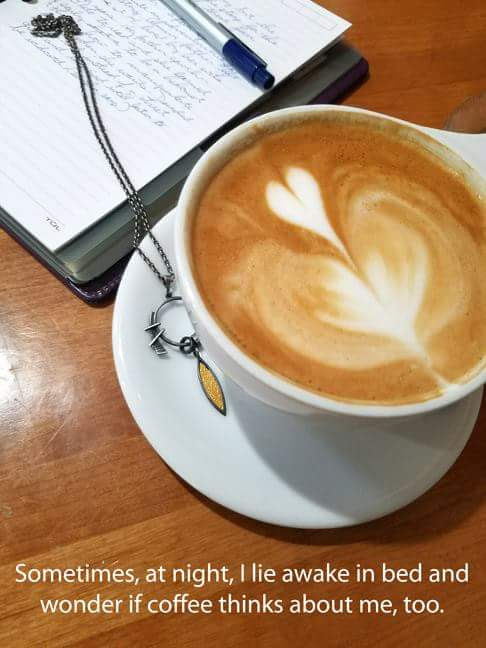 And, I’ve become accustomed to stopping at a local coffee shop, opening my journal or my laptop and writing. It’s a way to transition from work to home. It’s some beautiful alone time in a crowded space, a way for me to relax. It’s a very precise way to relax and one little slip-up like not having clean water can really turn it on its side. Today (Friday) it occurred to me after work that Round Rock has a Barnes & Noble, and that Round Rock has it's own water system. A quick call to them confirmed, by a rather puzzled clerk, that their cafe does, indeed, sell coffee. I told him that I was calling from Austin where coffee shops could not make coffee. God has forsaken this city – probably not for the first time. Damned liberal commies. I also commented to the lovely people at the customer service desk that I was shocked that there wasn’t a line of people beating a path to the bookstore to order this dictionary. It was just released this month and it’s the fruit of years of work by dedicated, intelligent and highly quirky people. It was all rather tongue-in-cheek, except for the emotion I felt as they ordered the dictionary for me. I was a little disappointed that I couldn’t walk out with it today. Okay, I was a lot disappointed. But, I felt so grown-up. I just bought furniture for the first time in my life, and now I’m going to buy my first dictionary. I’m becoming an adult, in spite of myself.